Reflections on The Gospel Coalition’s recent series about Christian movies. Do we draw arbitrary, legalistic boundaries against story “preachiness”? Do we fear the evil “Christian” label just as others have feared the evil culture? Reflecting on the movies produced by Sherwood Baptist Church, Andy Crouch imagined the scenario where “one or two Christian kids with real talent somewhere in this vast land are going to see these movies, get the sacred-secular dichotomy knocked out of them at an early age, move to Los Angeles, work their tails off, dream, fail, and try again . . . and one day make truly great movies.” What would these movies look like? What advice would you give to a Christian screenwriter, director, or producer who wants to make a film with artistic excellence from a Christian worldview? I won’t say it all. I’ll only present quotes from each, some thoughts, then ask for your views. That may help to prevent a common trope in this story: people talking past each other. Unfortunately, many Christians have convinced themselves that we can approach our vocations with a sense of religious neutrality. But we can’t. Our work either betrays a worldview shaped by Christ or one influenced by the world (or, more likely, a syncretistic mix of the two). […] This is especially true for those whose vocation entails storytelling. We either consciously acknowledge the ways our faith forms our artistic vocations, or we will be willfully blind to how our sinful nature shapes our craft. My thought: Neither of the other two writers advocated story “neutrality.” I’m sure some do, but their reasons would be founded in poor understanding of story’s purpose. Incarnate your worldview in the structure of the story, not into speeches from the characters. Let the dramatic choices, not verbal pronouncements, carry your message. Drama shows us the results of a lived-out worldview. Showing the consequences of human choices will be more powerful than a preached lecture or sermon of what I should or shouldn’t do. That’s a far cry from “neutrality,” or a false dichotomy that pits Scripture against story. 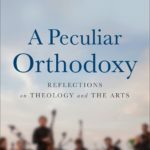 In the arts generally, there’s an assumption that the Christian artist’s worldview should result in overtly “Christian” content, where in other vocations, we rarely make the same requirement. […] We would not expect an engineer to work an ichthus into each of his designs, but (metaphorically speaking) we expect exactly that out of Christian artists, filmmakers, and musicians. Don’t Christian artists have the freedom to be as “overt” or “subtle” as they like? Isn’t the worst problem with some Christian movies not that they’re showing faith in action, but that they’re poorly showing it — with tacked-on sermons and over-explaining of emotions that don’t reflect how Christians, and humans, truly live? Can’t an engineer overtly glorify God, or work an ichthus into his designs, especially if he has chosen in his Christian freedom to build mainly for the Church? I know, I know, all Christian artists think they value both the craft and the content. But in my experience, they often fool themselves. When it comes time to make a decision for the story or the “message,” they will go with the message every time. Why? Because they feel obligated by God to communicate a clear “message,” or else they have wasted their time. They do not realize that the story itself, along with its style and craft, is part of the message. Story’s chief end is to glorify God and help us enjoy Him forever. The very institution of Story glorifies God; it needs no added sermons or explanations. So to honor God, stories don’t need to offer explicit Biblical connections. But some certainly can. While not all films made by a Christian need to be explicitly Christian, our culture could use more works that are distinctly Christian. 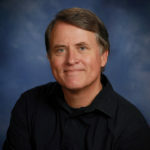 If Christians filmmaker won’t make them, who will? My thought: Amen. If we truly believe that all good stories reflect the Story, thanks to God’s common grace, then those positions may be filled. But who will share distinctly Christian stories that sing about themes that common-grace “secular” stories can only whisper? We Christians are not only set free from our sins but also set free to help carry out God’s redemptive role in creation. In response, we should desire to use our gifts for the glory of God, rather than merely for the advancement of our own exaltation. Why then would we not want our art to be labeled as “Christian”? And why would we Christians want to produce art that cannot be distinguished from those who despise our Redeemer? My thought: Here’s why — because that label has been used to excuse poor storytelling. Christians legitimately wince for the same reason that the owner of a good chain-franchise restaurant is embarrassed by another horribly run restaurant of the same chain. It’s not the chain’s problem, the label’s problem, or the owner’s problem. Still the good owner suffers. To eschew the “Christian” label for your films or (your work as an artist generally) is often not rooted in a denial of faith or a denial that faith impacts your work. In the case of most vocational Christian artists that I know, they resist the label because they don’t want their work sidelined into the Christian subcultural ghetto. Do we fear the evil “Christian” label just as others have feared the evil culture? My thought: Still, why give up the “Christian” label so easily? Can Christian storytellers not mount a passionate yet gracious assault on poorly told “Christian” stories and re-take the title? I refuse to give it up, just as I refuse to give up the perfectly good and historical name “Christian” to apply to believers in Jesus, in favor of some cumbersome term like “Christ-follower,” which is also itself doomed to co-opting by hypocrites. Let’s quit being so fearful of the “Christian” term being hijacked. This practice is itself a symptom of culture-reactionary thinking! If we truly want to create culture instead of “counter-culture,” we’ll refuse to reject good things — such as the “Christian” label. My thought: Still, why give up the “Christian” label so easily? My only objection is that I wonder if the adjective “Christian” really can be appropriately applied to things. I think maybe only people can be Christian. I’m sure it’s all semantics, though. In one sense, I would absolutely agree: only a person, not a Thing, could be Christian. If we define Christian as a human being — that is, the total person, soul/spirit and body — then absolutely, only humans can be redeemed from sin and restored to relationship with their Creator. … then not only humans, but this whole universe, and everything within it, are in some sense “Christian.” They reveal Christ to us, because this is His creation. Of course, not everything will survive into eternity, and the Bible is His only sure Word about Himself. Nature is the echo; His Word is the original Voice. Yet that’s why I think we can talk about things that are “Christian,” at least to some degree. I believe we (Christian’s) glorify God by doing our work honorably and with excellence. To be people whom the world admires, or loathes, so long as it is because we get their attention with love and truth and point them to the God of Truth. Not because we proclaim any Thing to be “Christian” but because Christian is who we are. An architect could do that by designing buildings that better conserve our resources , that can stand the test of time, and have beauty in their design… carving a fish symbol into it is meaningless. As pointless as a sermon in a movie. We must Show we are children of the Most High God by living out godly standards, not by living like every other Joe except for the “Got Jesus?” shirts we parade around in. I am all about Christians creating excellent art and not labeling it “Christian”, unless it was only made for Christians. Because that is what that label does. It says “this is a product exclusively for Christians”. No one who is not a Christian will touch it because of the label. Just like you won’t see any straight men shopping the LGBT section of the book store. Gays who write fiction they want the world to read should not put the “LGBT” label on their works any more than a Christian who wants the world to read their work should label it “Christian”. I don’t believe Christian art is avoided because it is bad. It is avoided because those who don’t believe in Jesus believe we are on a mission to brain wash them into belief, and they are afraid we could succeed if they are exposed to our subliminal messages. The world suffers from a deitiphobia worse than the homophobia of many males. They fear it is contagious and believe they’d rather die than catch it. They don’t see Freedom in Christ or Salvation from Sin. They see mindless fools duped into believing they have an all powerful imaginary friend, and they don’t want any part of it. If you want to write for the Christian community that is excellent… but we need more depth, more discipleship, more wrestling with tough issues. That is what the Christian label needs. If your writing is all about finding Jesus and being saved… I’m afraid there is really not an audience out there for you. The Christians have already got that, and no one else wants it… unless they have a transforming encounter with Christians who walk more than they talk. Christians who have no need to wear a label. Unlike homosexuality, Christianity can be contagious. Those who cling to the things of this world have just cause to fear us. If the Spirit catches hold of them it all turns to dust in their hands. If you want to write for the Christian community that is excellent… but we need more depth, more discipleship, more wrestling with tough issues. That is what the Christian label needs. If your writing is all about finding Jesus and being saved… I’m afraid there is really not an audience out there for you. Agreed. That’s why I feel the criticism of Christian fiction is misdirected. The problem is not that it is “too Christian.” The problem is that the label “Christian” is being applied to either stories that advocate general morality, conservative values, or Niceness (which any non-Christian could write! ), or “salvation” stories — with the salvation being reduced to A Specific Moment of Decision. But the Gospel is about so much more, and therefore Christians’ stories should be just as expansive. I am all about Christians creating excellent art and not labeling it “Christian”, unless it was only made for Christians. Because that is what that label does. It says “this is a product exclusively for Christians”. That label seems unnecessary, because the Christian and the nonbeliever have the exact same touchpoint — storytelling, and our world. It is not that we must adopt a secular “platform,” that of storytelling, to reach out to others. It is that they have already adopted a Christian platform, Story itself, and that means we share a common ground. Thus, a truly great story “just for Christians” has broader appeal. 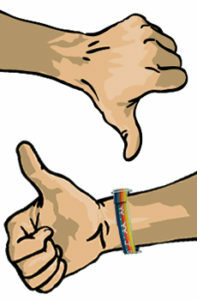 The world suffers from a deitiphobia worse than the homophobia of many males. You so just won the word of the month for “deitiphobia.” I want to steal it. I agree. In fact, I just now thought to start a hashtag and/or social-network series based on that term: #Deitiphobia of the Day. (Checks) No, the term is not taken, really, except by a Christian electro/techno band, apparently. I haven’t read the three articles yet. I will at some point. Offhand…. On neutrality: I think the art’s still in the telling. By and large, most people are going to be more offended by a facade than honesty (especially the teenage crowd, who can spot “fakes” a mile a way). Be real. Do what the story requires. No more, no less. That said, I don’t think anyone can pick up a book in the “Christian” or “spiritual fiction” section without expecting religion to play a significant role in the story. Carter quote: We Christians are not only set free from our sins but also set free to help carry out God’s redemptive role in creation. In response, we should desire to use our gifts for the glory of God, rather than merely for the advancement of our own exaltation. Why then would we not want our art to be labeled as “Christian”? And why would we Christians want to produce art that cannot be distinguished from those who despise our Redeemer? Stephen: My thought: Here’s why — because that label has been used to excuse poor storytelling. Christians legitimately wince for the same reason that the owner of a good chain-franchise restaurant is embarrassed by another horribly run restaurant of the same chain. It’s not the chain’s problem, the label’s problem, or the owner’s problem. Still the good owner suffers. Miscellaneous freebie sidenote on straying from the term “Christian” altogether: You’re right; it’s primarily a reaction, an effort to get away from wolves posing and sheep and to bypass having become the stench of death (Paul’s phrase, not mine) to so many for various reasons. I feel like I understand the basic principle behind the cultural shift that very much desires and needs to separate from frauds coming in Jesus’ name; but on the whole I find the exchange futile and needlessly confusing. As I’ve said more than once, “Try explaining to a Hindu that you follow Christ but are not a Christian.” Because the exact definition of Christian is “one who holds to the teachings of Christ,” it doesn’t work. The problem with Christian fiction, however, is a bit semantic. Having had the phrase “there is no secular/sacred divide” drilled in my head from the age of 12, it’s difficult for me to really make the distinction, and the only true one I know of is that Christian fiction is (1) written by a professing Christian, (2) very explicitly Christian in theme, (3) containing little to no sexual references or profanity, (4) usually containing but is not required to contain a conversion arc. 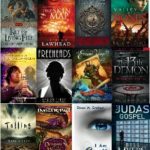 The reason “family friendly” and “Christian fiction” are typically interchangeable is because, well, Christian fiction typically has been suitable for most ages (recent trends of the last 8-10 years aside). So, for some, tossing the label might be a smart move because, quite frankly, there are some things a ten year old just shouldn’t read, and if a parent is counting on that family-friendly Christian fiction when buying for said 10 year old, that could create a problem. There is a spiritual principle at work in the unsaved that might as well be called spiritual narcissism. It’s the idea that the person is in charge of their life, not Christ. The very mention of Christ reminds them that they are not in charge. Because of this, anything with the label Christian will be shunned by the very people who need it most. Jesus Christ has the ability to woo men to him, but merely slapping “Christian” on a book or movie–even a book or movie of excellence–can undercut it’s reach, especially when a book has only a title, genre, and cover art to vouch for it. Even if a work of art is excellent, labeling it Christian gives people a reason to dismiss it pre-emptively. But here’s the important part: Jesus struggled primarily with the Pharisees, not because they denied some unknown truth, but because they denied KNOWN truth. When you identify your story as “Christian fiction” rather than fantasy or what have you, you’re telling your potential reader that your book, if nothing else, is a work of Christian, religious fiction. If some people sit off-center for identifying the whole of themselves by their gender, defining a novel by an affixed worldview undermines the skill, plot, characterization, etc. And lastly, some novels, written from a Christian worldview, while laying out some biblical foundation, may not be expressedly Christian. My novels are deeply rooted in an underlying belief in the sanctity of life, the transcendence of some greater power, the ability to resist temptation by the power of that same greater power, and the fixed nature of right and wrong. But my characters are not living out a Christian story, or even a situation that many Christians would find themselves in. I am a Christian, but I am not telling a story that is, in any outward way, Christian. This is my take on this whole sitation. Make your characters real. i hate reading christian literature when the main Christian character does no wrong. They are basically a Mary Sue who skips to church singing the praises of God. 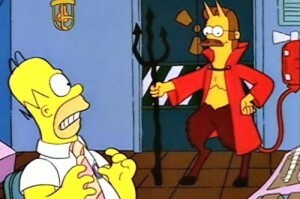 There’s no stupid arguments, no yelling at the kids, no small mistakes, no ‘little sins’. Nothing, but get up at 5 AM everyday including Saturday to pray and read scripture for exactly two hours, walking in love with everyone despite what went on during the day, no losing their temper at work and gossiping, no pride, no arrogance, nothing. I look at my own walk with God and I see it sprinkled with my fleshly humanity and it breaks my heart. i get mad at drivers in front of me who go too slow or tailgate. I argue with people in my church, have to deal with attacks from the enemy, have to take deep breaths and deal with an arrogant church member who insists he knows more than me b/c he leads a bible study, etc. And yet I read this perfect Mary Sue who never does any wrong. It seems to me that sometimes we’re afraid to let our charcters be human Christians who mess up b/c maybe that’s something we don’t want to face. We so long for Godly perfection so we force our characters in that kind of perfection, which is a false perfection, not created by Christ Jesus. He uses the foolish things of this world to confound the wise, while we use the wisely things to confound the fools. Patricia Hickman wrote a wonderful story called PAINTED DRESSES in which the main Christian character slipped up and had an affair. She was heartbroken and tried to hide it from her sister. I understood that character b/c I’ve made stupid mistakes that I regret and tried to hide from others. Chila Woychik said on her blog that in order for our characters to be ‘real’, we must let go of this mideset that the church created saying you have no problems, be perfect and hide your pain. Plaster a smile on your face and pretend that life is beautiful all the time. Dance around the happy pole!! Yeh!! Throwing lollipops and daisies at everyone. So we bring that same mindset to the novel. BLAH!! I hate reading christian literature when the main Christian character does no wrong. They are basically a Mary Sue who skips to church singing the praises of God. There’s no stupid arguments, no yelling at the kids, no small mistakes, no ‘little sins’. Kim, I am curious what you’ve been reading (and, speaking for myself, I don’t mind if you mention titles). From here, this seems a stereotype of Christian fiction that, even amidst all the bonnets and historical-whatevers, isn’t fair. My perception of Christian fiction now is rather an overwhelming emphasis on Angst and Life Issues, rather than the fantastic good-vs.-evil redemptive narrative of God’s Word. (As one columnist I read recently put it, it’s a “Xanax approach” to the Bible, and to story!) Of course, that perception may also be unfair. I tend to avoid those kinds of stories. Chila Woychik said on her blog that in order for our characters to be ‘real’, we must let go of this mideset that the church created saying you have no problems, be perfect and hide your pain. I agree. But we won’t get those kinds of stories unless more readers pay money for the the stories they do love, aggressively recommend them to friends, research why they should Biblically love and “use” stories, and perhaps write reviews online. A brief caution: the church-created mindset of pretending we have no problems or pain is indeed horrifyingly wrong. It is, however, a symptom of very anti-Biblical or Biblically ignorant perceptions of God. While I don’t believe absolute holiness is possible in this life, I believe there is a risk of Christians being “authentic” to the point of denying the Spirit’s power to change us from the inside. In Christ, Christians can not only grow in healing from Life Angst, but have been resurrected from our central problem: being “dead in trespasses and sins” (Ephesians 2:1). I can foresee a situation in which Christians, having rightfully grown sick of happy-happy-happy lifestyles or stories all the time, start grabbing for artificial-flavor angst-angst-angst to add to stories all the time. That’s little better than the opposite overdosed emotion, and also fails to reflect God’s joy, and looks silly — like the “gritty reboots” for movies that geeks laugh about. Moreover, it makes the symptom of the real problem — bad views of God and His Word — into the only issue. I don’t know if I’m in the minority on this, but I really didn’t like that movie and I was glad that I rented it instead spending $9.00 seeing it in the theater. To me, it was soooooo sugar coated. Make this vow and your life will be perfect. The opening was the best “hook” of a Christian Movie I’ve ever seen — the guy’s car stolen, with the truly surprising twist of why he was chasing it. At the film’s end, there is some ambiguity about the officer who signed the pledge with them, then was caught stealing drugs from the department’s inventory. Was he a true Christian or not? We’re never told. And that’s okay. The young guy, whose name I forget, is shown having a Sinful Sexual Past. He commits to trying to resolve it, and his struggle wasn’t portrayed as simple. Two officers immediately began explaining the Personal Application of that fantastic hook opening. Having them exchange a look, or simply remain silent about the incident, would have made that moment much more poignant. The subplot of the deceitful officer who only went only with the “pledge” could have been strengthened, made into a real challenge for the good guys. The young guy did seem to have reached A Moment when that kind of temptation would have no longer been a problem for him. Sanctification is a lot tougher than that (though I am glad the film didn’t make it seem too easy). As for the big rallying-call sermon at the end, with the anonymous pastor whom we haven’t previously seen, that nearly upended the whole thing. I did feel cheated, and it wasn’t even a very good sermon (e.g., the wrong proclamation that “your job and your hobbies have no eternal value, but the souls of your children do”). Watch the “if only” thoughts. If only, if only, if only … then what? People would love us more? The Church would grow with millions more converts? We’d have no struggles, no family issues? We’d only ever have Republicans in the White House? Jesus would come back sooner? Maybe I’m exaggerating here, or projecting. But it’s been only recently that I’ve found this quiet, subconscious phrase, if only … stuck in my head. I’m sure I’m not the only one who suspects that if only Those People did such-and-such, or learned this doctrinal truth, or made this pledge, then Everything Would Be Better. Those if only thoughts are the bad kind of escapism. And they can lead to idolatry. 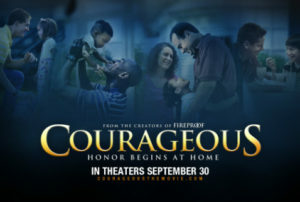 Many of my thoughts on Courageous are here, and especially in An open letter to truly ‘Courageous’ storytellers.